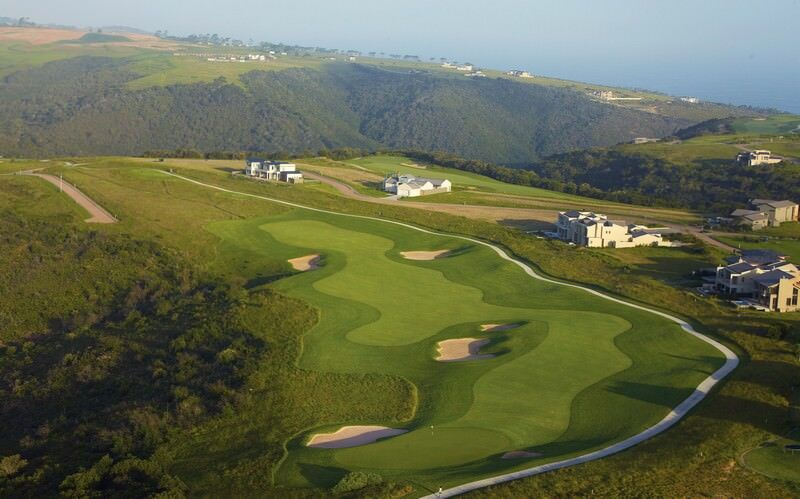 Oubaai Golf Course stretches across the spectacular clifftops of the Garden Route. 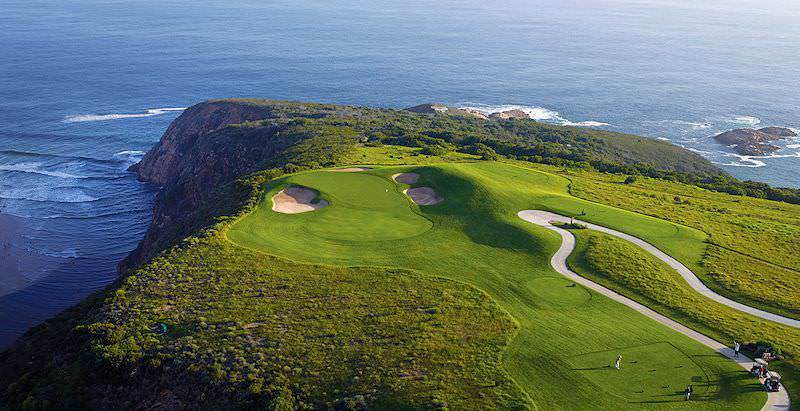 The illustrious Oubaai Golf Resort was designed by champion golfer Ernie Els and boasts some of the most spectacular scenery in the country. 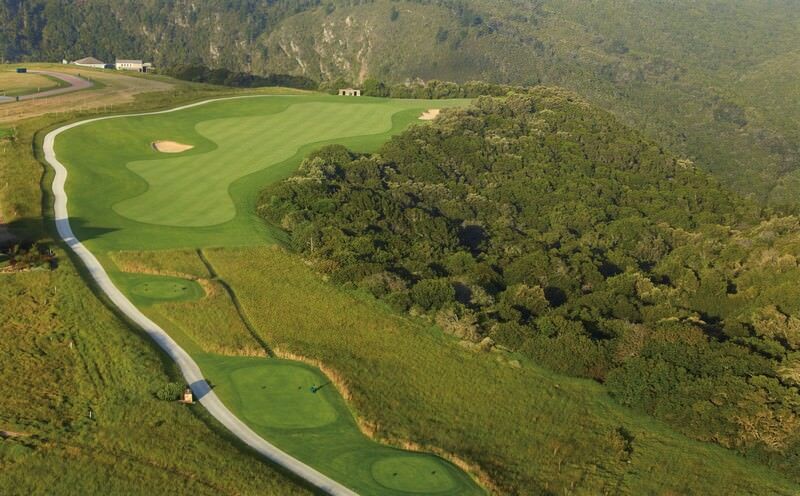 Perched atop the breathtaking Garden Route coastline, Oubaai offers visitors a unique golfing experience, augmented by the occasional whale sighting or the honeyed call of the fish eagle. The Gwaing River mouth runs its course far below the cliff tops while the sea stretches undeterred toward the horizon. Every hole offers its own splendid views. Veld grasses delineate liberal fairways and smooth, rolling greens. The links-style course proves challenging and requires patience and absolute concentration, as wayward shots will be swept up by the cool coastal wind. Well-executed straight shots will be duly rewarded and stick in the memory. 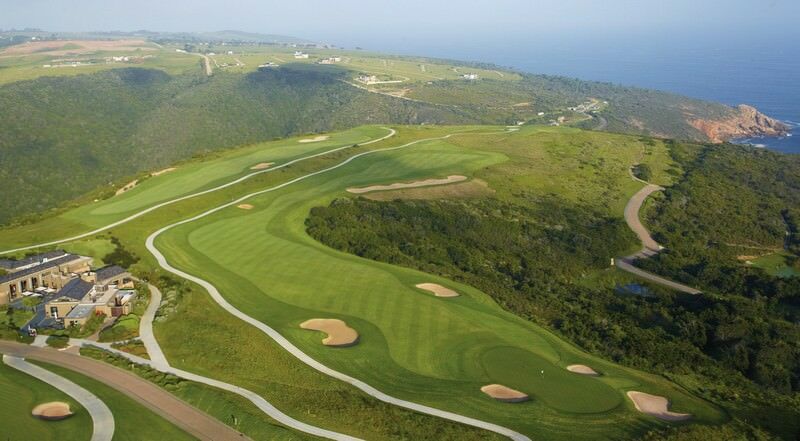 Oubaai Golf Course is one of South Africa’s finest and will enhance every player’s golf holiday. Oubaai is situated on an enviable slice of coastal real estate next to the seaside town of Herolds Bay less than 30 minutes from George Airport. 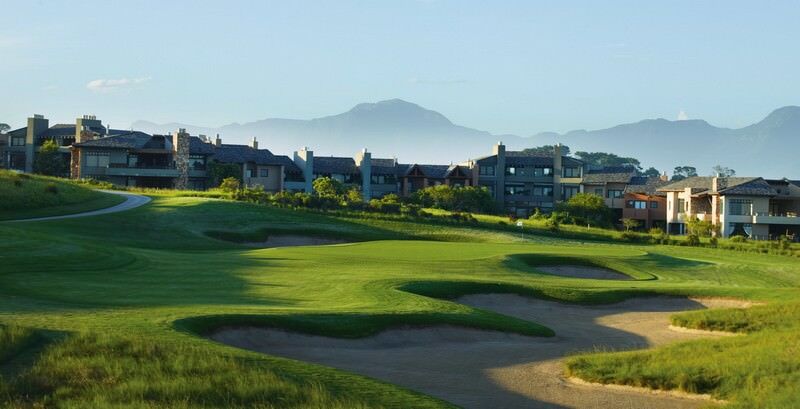 Essentially situated in the heart of the Garden Route, this convenient position means that Oubaai is within convenient distance of the area’s finest attractions, like the Featherbed Nature Reserve, Elephant Sanctuary and Knysna’s delicious range of restaurants. Travel to South Africa for a series of unforgettable African adventures. Botswana safaris are typically eco-friendly ventures with rewarding game viewing. Namibia is a sprawling desert country known for its breathtaking landscapes. Zambia's most popular safari destination is South Luangwa National Park. Zimbabwe's safari areas enjoy less traffic, offering exclusive game viewing. South Africa's Greater Kruger National Park offers a wide variety of safari experiences that cater to a range of budgets. The Sabi Sand Private Game Reserve conserves around 65 000 hectares of pristine lowveld wilderness and ample wildlife. Cape Town is a captivating city on the southwestern tip of the African continent, boasting striking natural beauty. 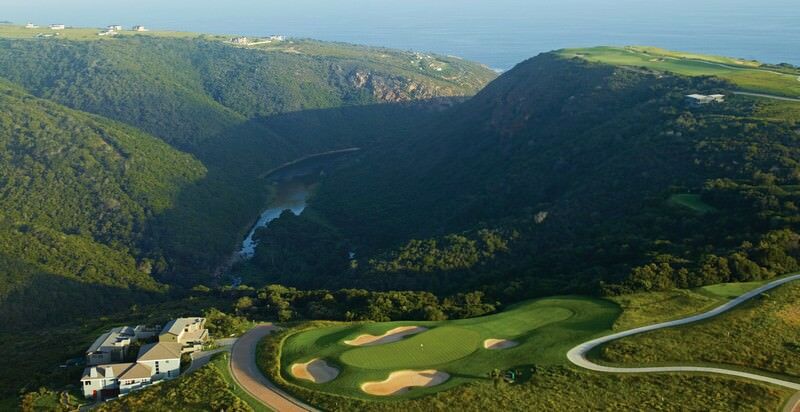 The Garden Route's top attractions include the charming seaside town of Knysna and the fine beaches of Plettenberg Bay.